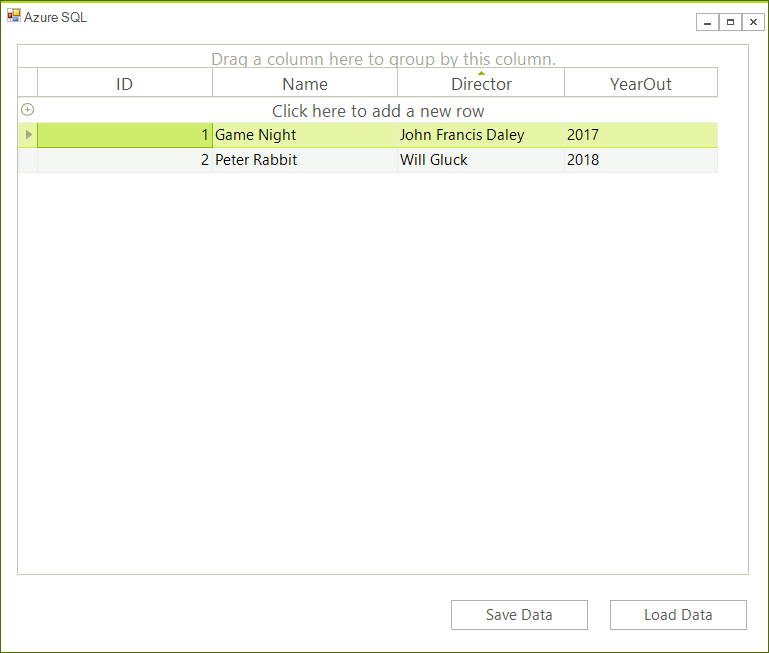 It shows how you can connect to the Azure SQL database instance from a blank WinForms project as well. Go to your Azure portal, then SQL Databases > Add, and fill all required information. The process is fairly easy, however if you need detailed information you can check this article. You will need to add a firewall rule for your IP Address. Otherwise you will be not able to connect. Detailed information is available here. 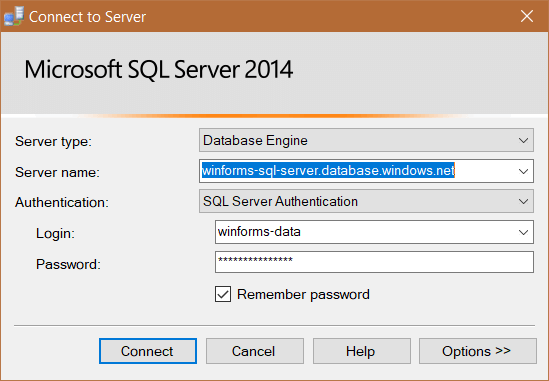 Once the database is created you can connect from Microsoft SQL server Management Studio. You need to take the server name from the database overview page in the azure portal. Use the name and password from step 1. Once you are connected you can interact like with any other database. For this example execute the following query in order to create a table. 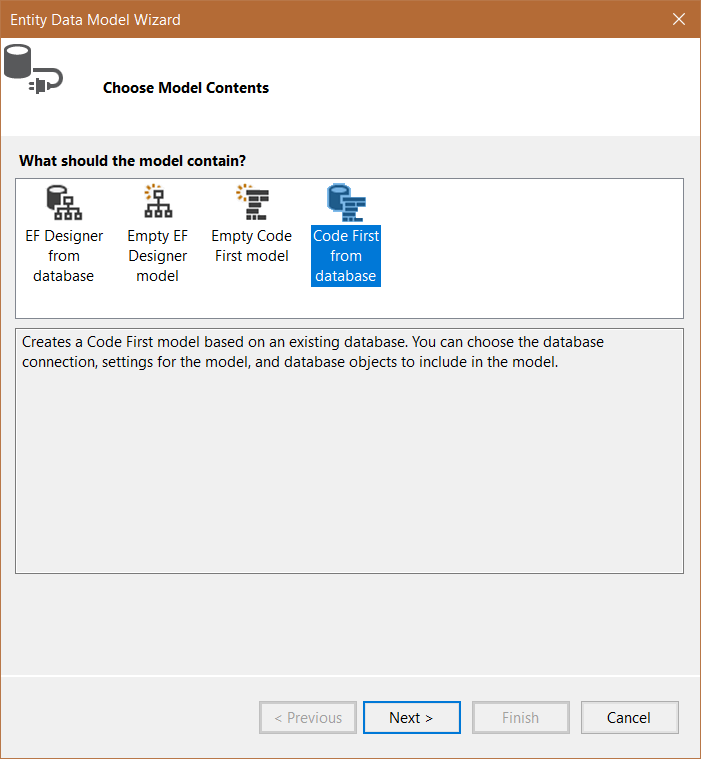 Step 4: Create Entity Framework Model. 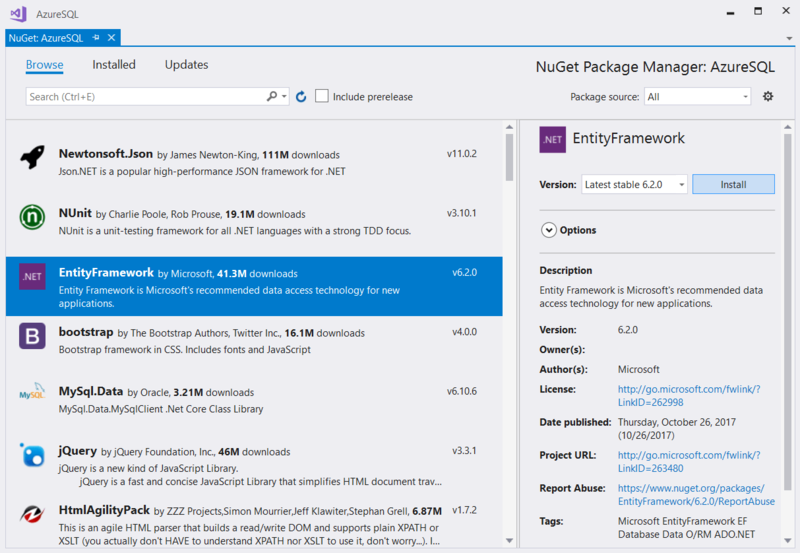 Install the Entity Framework from the Nuget manager. 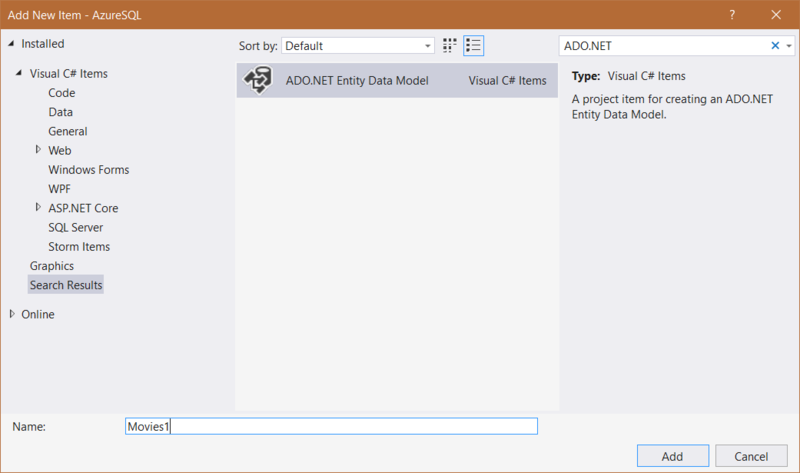 Add a new item to your project and choose ADO.NET Entity Data Model from the list of available items. Choose Code First from database from the Choose Model Contents dialog. .
Click on New Connection... and input the server name and credentials which you can obtain from the Azure portal. Choose the SQL Server Authentication option to log on to the server. Choose whether or not to include the sensitive data in the connection string, choose a name for it and click Next. 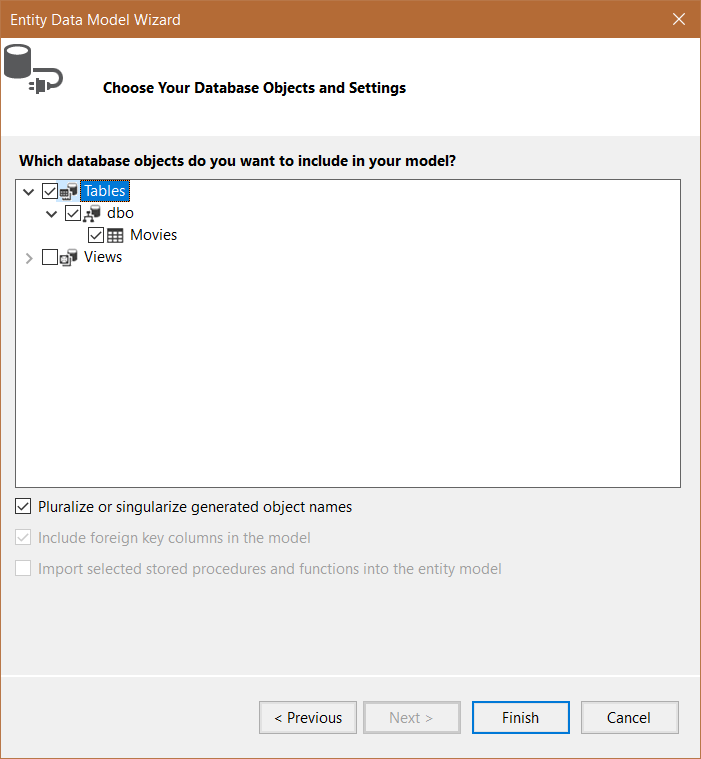 Pick the database object you wish to include and click Finish. . 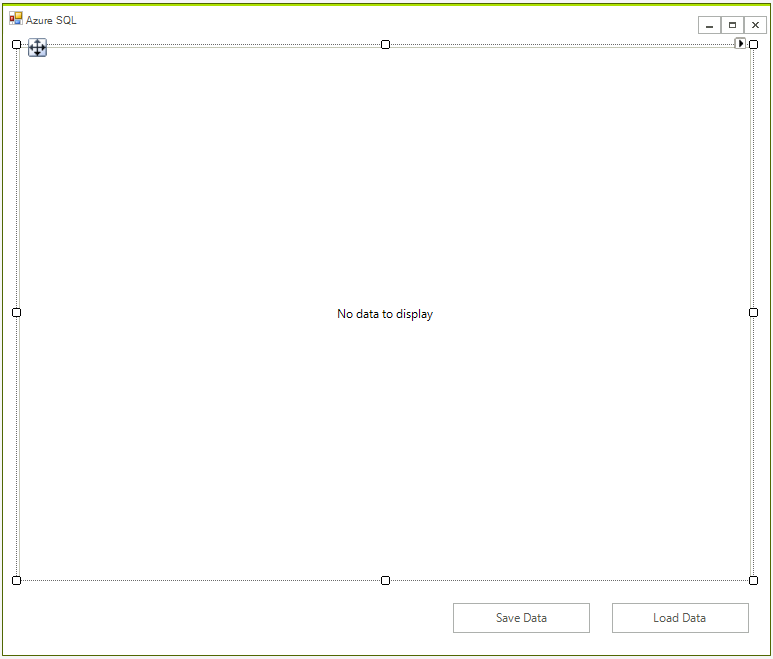 The final step is to create a context object which will allow you to load and save the data. Now you can manage the data directly in the grid.